Anastasia State Park in St. Augustine. 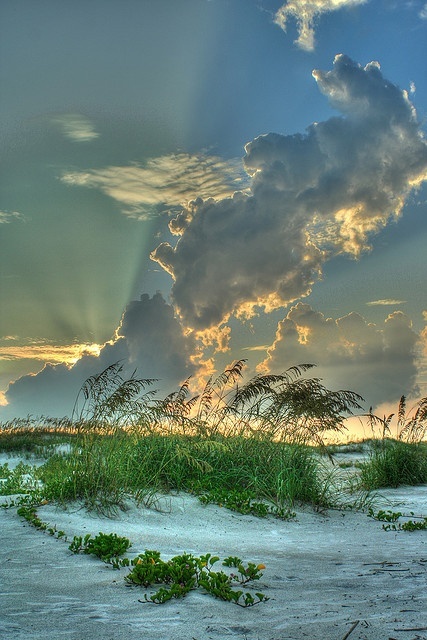 Anastasia State Recreation Area is a 1,600-acre (6.5 km2) Florida State Park located on a peninsula on the Atlantic coast of Anastasia Island across Matanzas Bay from downtown St. Augustine. The park has a variety of wildlife, birds and plants in a setting of beaches, tidal salt marsh, and marine and upland hammock. Activities include bird watching, camping, fishing, sun bathing, running, surfing, sail boarding, swimming, kayaking, hiking and picnicking. Amenities include a campground and nature trails, and the park is unique in being the site of a quarry from which the coquina stone used in the construction of the Castillo de San Marcos in St. Augustine was mined.